The Somerston Estate was created by combining two historic properties, the 660 acre Priest Ranch and the 955 acre Lynch Ranch. Our majestic, 1,615-acre property includes over 215 acres of sustainably farmed hillside vineyards with elevations ranging from 800 feet to 1,650 feet. It is located high in the Vaca Mountains of the eastern Napa Valley. 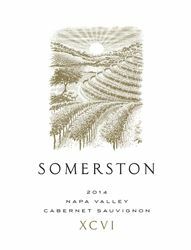 The Somerston Estate represents the future of these two amazing properties, blazing a trail into the future and becoming a leader in Napa Valley. Our sole mission as a grower is to cultivate and preserve our property at its full potential. We want to share our efforts with our fans and customers in every bottle we produce. Our estate grown, limited production wines are produced from 100 separate blocks for the discerning collector. With each vintage, we individually select the blocks used to produce these wines. Focused on producing Bordeaux style wines that reflect the quality and unique nature of our property, we currently offer a Sauvignon Blanc, Merlot and Cabernet Sauvignon and Cabernet Franc. Estate visits are available by appointment. Our Somerston Estate tasting room has views of the rolling hills and 1,615-acre estate. Guests are often able to see a bit of what happens behind the scenes and look into our winemaking facility. Food Available: Food pairing and lunch available on request. To join the wine club, visit www.somerstonestate.com or call 707-967-8414. Our Somerston Estate wines are available by allocation due to their limited production. Allocation members receive either 6 or 12 bottles upon release. Members also receive priority access to library wines and large formats, complimentary tastings, and an invitation to the exclusive Allocation events. Please call for more information (707) 967-8414.